In the trial, people with this hereditary condition—called familial adenomatous polyposis (FAP)—who were randomly assigned to receive the combination of erlotinib (Tarceva) and sulindac (Aflodac) had less than a third the number of polyps after 6 months of treatment than patients who received placebos. The scientists recommend that people with advanced-stage fibrolamellar hepatocellular carcinoma, which mostly affects teenagers and young adults, receive regular neuroimaging scans because of the tumor’s apparent ability to metastasize to the brain. A new investigation into a genetic testing company’s possible fraud may be a harbinger for deeper scrutiny and oversight of the increasingly costly sector. Health officials are pressing for more information on Myriad Genetics’ billing to public health-care programs as part of an investigation into false or improper claims. For precision medicine to succeed, patient-centricity is essential – not only do we need nation-wide access to the treatments, drugs and care but also to the diagnostic tools and genetic tests, which are enhanced by increased sharing of health data throughout the UK. A research team led by Massachusetts General Hospital (MGH) investigators describes finding, for the first time, that obesity and obesity-related molecular factors appear to induce resistance to antiangiogenic therapy in breast cancer patients and in two mouse models of the disease. Researchers at the Moffitt Cancer Center in Florida have combined single-cell imaging of cancer cells in mice with mathematical modelling to establish which drug characteristics determine its efficacy. Human tissue samples linked by microfluidic channels replicate interactions of multiple organs. First Filing Acceptance for an Anti-PD-1 Therapy in Cervical Cancer. The decision marks the first filing acceptance and priority review issued for an anti-PD-1 therapy in cervical cancer, and the 14th regulatory submission accepted by the FDA for Keytruda, MSD noted. The German biotech highlighted updated data demonstrating that of the 68 evaluable patients in their study for diffuse large B cell lymphoma — a popular disease target in oncology — they tracked a 49% overall response rate and a 31% complete response rate. Our examination of seven common office-administered drugs with both oncology and non-oncology indications reveals that oncologists’ median charge was between 9 percent and 51 percent higher than other specialties’ median charge for the same drug. PEGPH20 is a proprietary enzyme that targets and degrades hyaluronan (HA), a glycosaminoglycan or naturally occurring sugar in the body. HA accumulates in many solid tumors, potentially constricting blood vessels, impeding the immune response and the access of anti-cancer therapies. 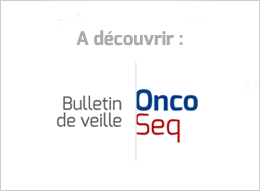 Abstracts to be presented include the first disclosure of data from the Phase 3 CheckMate -227 trial evaluating the combination of Opdivo plus Yervoy (ipilimumab) in first-line non-small cell lung cancer patients with high tumor mutational burden (≥10 mutations/megabase), as well as two-year overall survival data from pivotal studies of Opdivo in bladder and head and neck cancers. Management of depression remains important for its beneficial effect on QoL in cancer patients. A documentary shines a spotlight on the grim relationship between race and cancer. Gross and colleagues mined data collected by the Centers for Medicare and Medicaid Services between 2008 and 2014 on women age 66 and older who were diagnosed with breast cancer and received surgical treatment. Overall, roughly 570 study subjects were residents of the U.S. territories and 259,000 lived in the continental U.S., according to the report in Health Affairs. There is outrage over the refusal of radiotherapy to a patient who has lived here more than four decades. His case points to wider problems. The only author in common to all papers is Samson Jacob, a professor in the department of cancer biology and genetics at OSU. The institution recently addressed allegations that have dogged another cancer researcher, Carlo Croce. Major disruptions are likely to happen in the way we pursue scientific investigation, and it is important to ensure that these disruptions are evidence based. At a time when Theranos claimed it had annual sales of $100 million, sales were just $100,000. Holmes and Balwani claimed that the Department of Defense was using Theranos' technology on medevac helicopters. The DoD wasn't using it at all. The scale of Theranos’ alleged fraud is unusual, but the forces behind it are not. Startup culture venerates the kind of “fake it till you make it” hustling that Holmes deployed.